Telecommunications is Telkom’s legacy business. As an icon of the company’s business, Telkom serves Plain Ordinary Telephone Service (“POTS”) wireline connections, fixed wireless, data communication services, broadband, satellite, network and interconnection rental, as well as cell phone services through its subsidiary, Telkomsel. Telkom’s telecommunications services reach all market segments ranging from individual customers to small and medium enterprises (“SME”) as well as corporations. Service information is the business model developed by Telkom in the New Economy Business (“NEB”). This service has characteristics of integrated services for facilitating business processes and transactions that include Value Added Services (“VAS”) and Managed Application / IT Outsourcing (“ITO”), e-Payment and IT enabler Services (“ITES”). Media is one of Telkom’s business models which were developed as a part of the NEB. The media service offers Free To Air (“FTA”) and Pay TV for the modern digital lifestyle. Edutainment is one of the mainstays service in Telkom’s NEB business model and it is targeting the youth market segment. Telkom offers a variety of services including Ring Back Tone (“RBT”), SMS contents, portals and many more. Services are Telkom’s customers oriented business model. This is in line with Telkom’s Customer Portfolio for Personal, Consumer / Home, SME, Enterprise, Wholesale and International. As a telecommunications company, Telkom Group continues to pursue innovation in sectors other than telecommunications, and builds synergy among all products, services and solutions, from legacy business to New Wave Business. In order to increase business value, in 2012, Telkom Group changed its business portfolio into TIMES (Telecommunication, Information, Media & Edutainment Service). To run its business portfolio, Telkom Group has four subsidiaries, namely PT. Telekomunikasi Indonesia Selular (Telkomsel), PT. 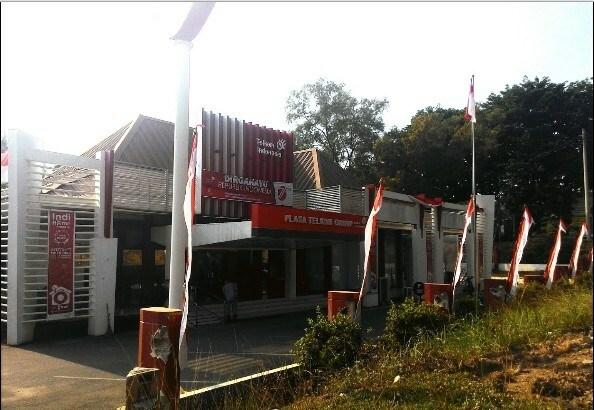 Telekomunikasi Indonesia International (Telin), PT.Telkom Metra dan PT. Daya Mitra Telekomunikasi (Mitratel).